Beach season is now officially open. Well, yeah, it is terribly cold half around the world, but who mentioned sunbathing? We are talking about dune bashing! All in a Mercedes G 63 AMG 6×6! The heavyweight Mercedes G 63 AMG 6×6 is kicking over the traces in Beglium, at the 66th edition of Zoute Grand Prix. The 6-wheel behemoth is trying to power slide smoothly along the sand dunes of a public beach partly closed (obviously not closed enough! ), but that ain’t exactly a ballerina and the stunts are dangerous as hell. 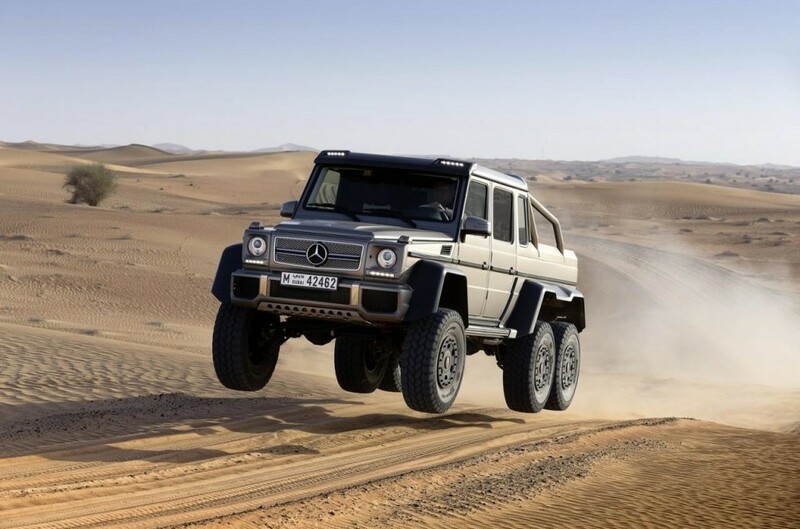 The G 63 AMG 6×6 running wild on the beach boasts a 5.5-liter biturbo V8 engine, sending out 544 HP (400 kW) and 758 Nm (560 lb-ft) of torque, all via a 7-speed dual-clutch transmission, towards all six wheels. This 3.850-kilogram Gulliver needs 7 seconds to run from a standstill to 100 km/h (62 mph) and has a speed electronically limited down to 160 km/h (100 mph). One doesn’t need much of that to hell around. Just don’t try to pull off such stunts on your local beach. In Belgium, it was a miracle no one got hurt in the process. The production of the half a million dollar titan G has recently stopped, but the next best thing is the Mercedes-Benz G500 4×4².